For a bed you never want to get out of, invest in some beautiful bed sheets. 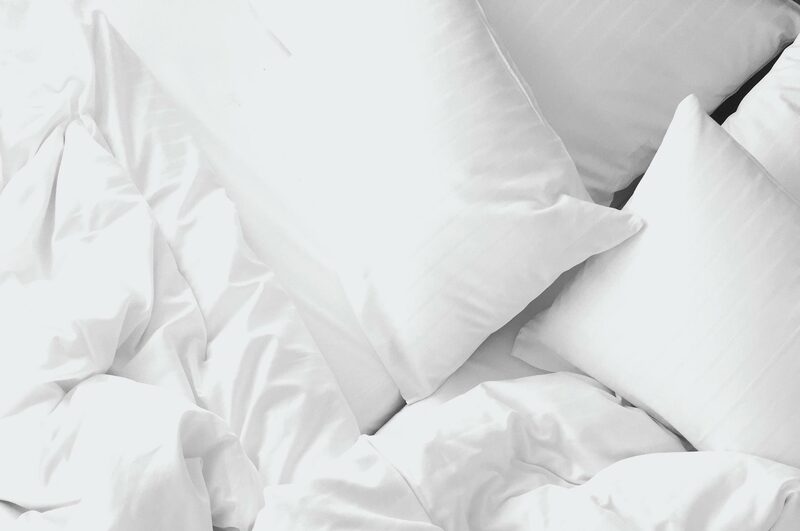 Whether you’re looking for a luxe, hotel look; a quirky design touch; or sustainably sourced material that’s kind to the planet and your skin, our best bed sheets guide has got you covered. Even better, you don’t have to leave the couch to buy them. They’re all available online. At Betterbed, we’re committed to helping Australians have their best sleep. You’ll find everything you need for a beautiful night’s sleep. From Australia’s best mattresses and bed frames to the best pillows. They’ve all been chosen from extensive research and the opinions of real Aussie customers. We started our search online, hunting out a range of bed sheets that are available in Australia. We visited each manufacturer’s website, stripping out the marketing talk and focusing on facts. We read hundreds of customer reviews to understand what works, and what doesn’t. We then ranked bed sheets by what’s important to you: quality, feel, look, price and value for money. This gave us what we believe are Australia’s top sheets. 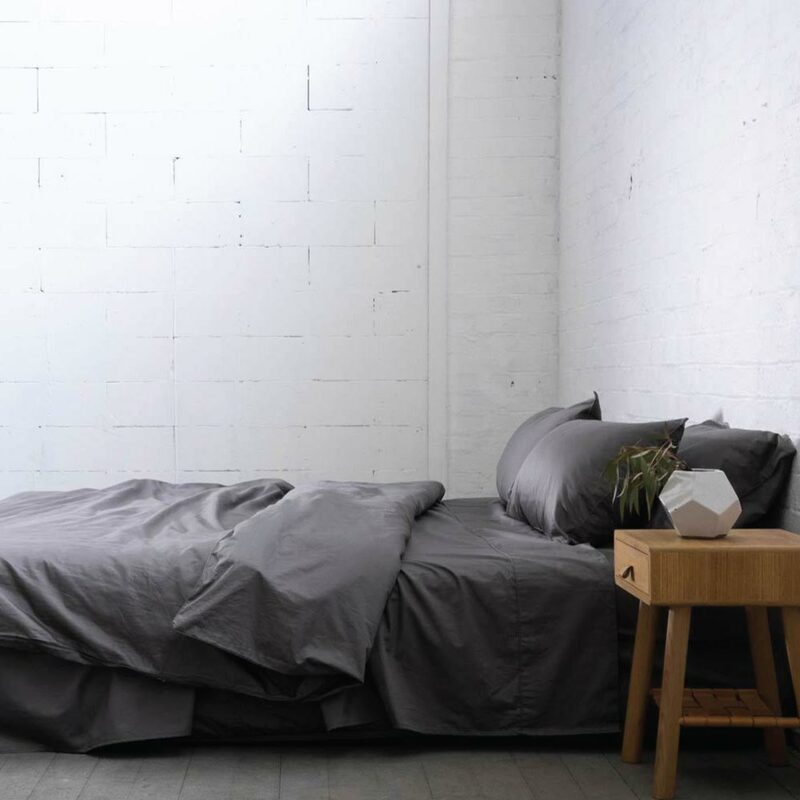 Here are our top picks for the best bed sheets in Australia. Castle is an Australian homeware company. It’s known for its brightly coloured, whimsical and fun designs. Their unique design aesthetic flows into their fitted sheets. 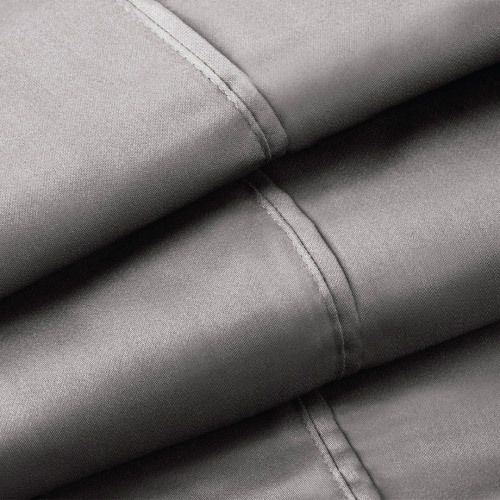 100% cotton and 280 thread count, Castle fitted sheets are 5-star hotel quality. They’re available in a range of sizes, from single through to king. You’ll have a great time choosing Castle sheets. From graphic icons, like hearts and bananas, through to modern polka dots, they’re eye-catching designs. 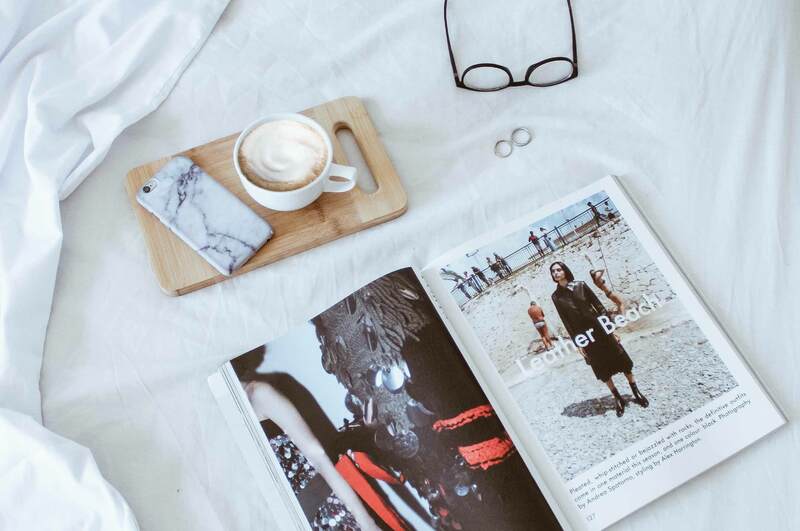 Choose Castle for Instagram-worthy bedding that’s comfortable, cool and thoroughly modern. Customers love the amazing designs and the sustainable packaging. We think these are well-priced bed sheets that deliver in quality and uniqueness. 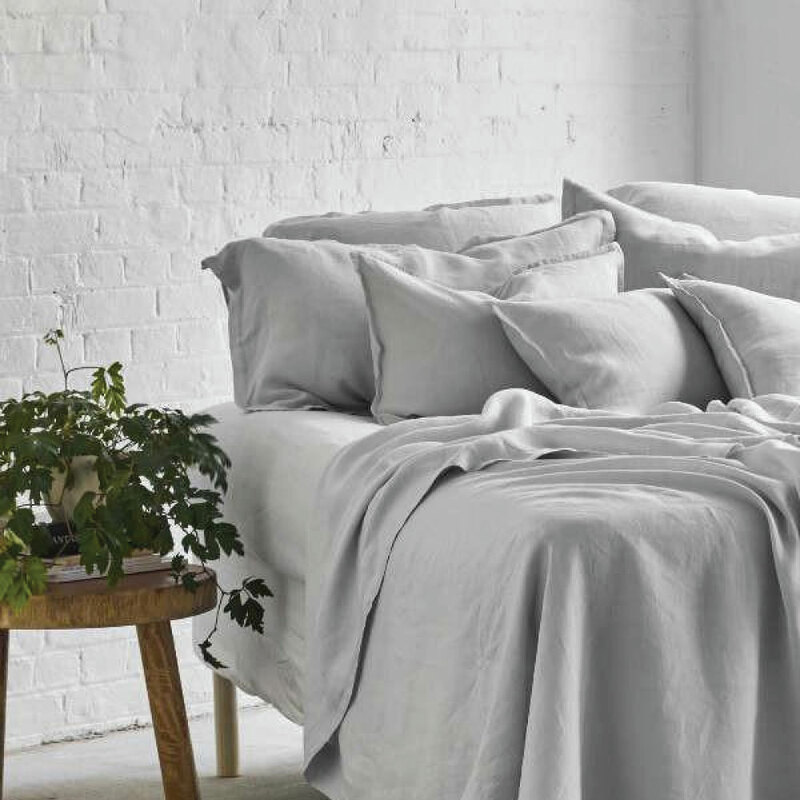 The Sheet Society was born to inject some beautiful design and practicality into bed linen. They only produce 100% cotton bed linen. This is because it’s a fabric they know, love and trust. Cotton is breathable and gets softer with age. Their sheets feature clever design. Their flat sheets include a double layer of fabric on the top edge. This means no more folding the top edge back. Throw it on and it’s done. Their fitted sheets use strong 3cm-wide ribbed elastic. This keeps your sheet firmly on your mattress and the corners where they should be. With 40cm deep walls, they should fit most mattresses. All sheets come with a 30-day trial period. If you’re not happy, you can return them within 30 days for a full refund. Customers love how soft, comfortable and luxurious these sheets are and the beautiful packaging. 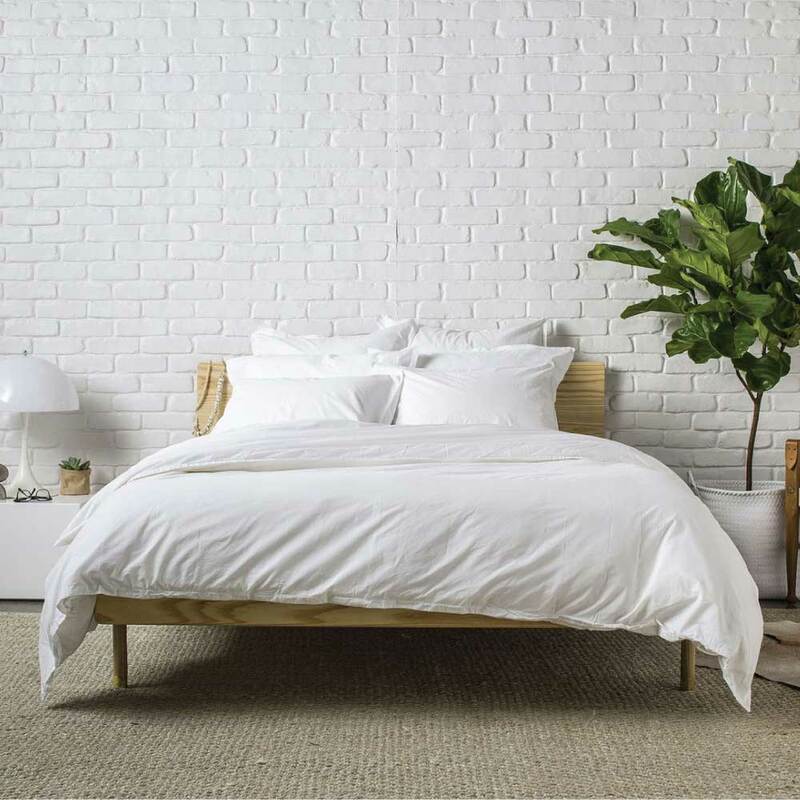 We think The Sheet Society has nailed quality, design-driven bedding that’s well-priced. Sheets on the Line is an Australian family-owned business. It’s committed to producing Australian-designed products that are of the highest ethical and quality standards, sourced from reputable manufacturers around the world. Their Linen Fitted Bed Sheet is made of 100% certified organic Belgian linen. It’s finely woven and prewashed for softness. Belgian linen is naturally hypoallergenic, anti-bacterial and stain resistant. It keeps you warm in winter, yet cool in summer. Because it’s deep-walled, it can accommodate all mattress depths, including those with pillow tops. Customers rave about the relaxed look of these sheets, and their soft comfort. We rate their ethical and organic manufacture, making them a good choice for conscious consumers. Ettitude is a sleep brand, based in Australia. 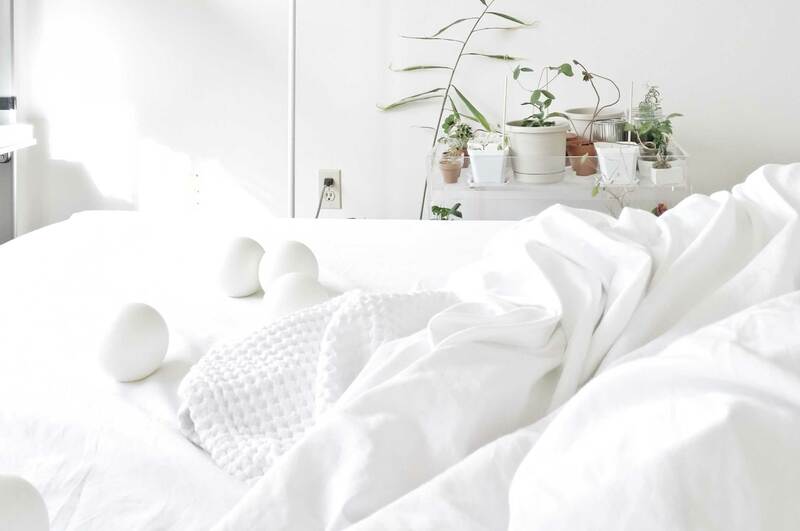 Their focus is soft, breathable and sustainable bedding that’s eco-friendly. Ettitude sheets are made from organic bamboo lyocell, which is good for the planet. Bamboo yields up to 10 times more fibre than cotton, per acre. It needs less than 1/10 of the water cotton needs to grow. Its sustainable manufacturing system recycles and reuses water to minimise waste. 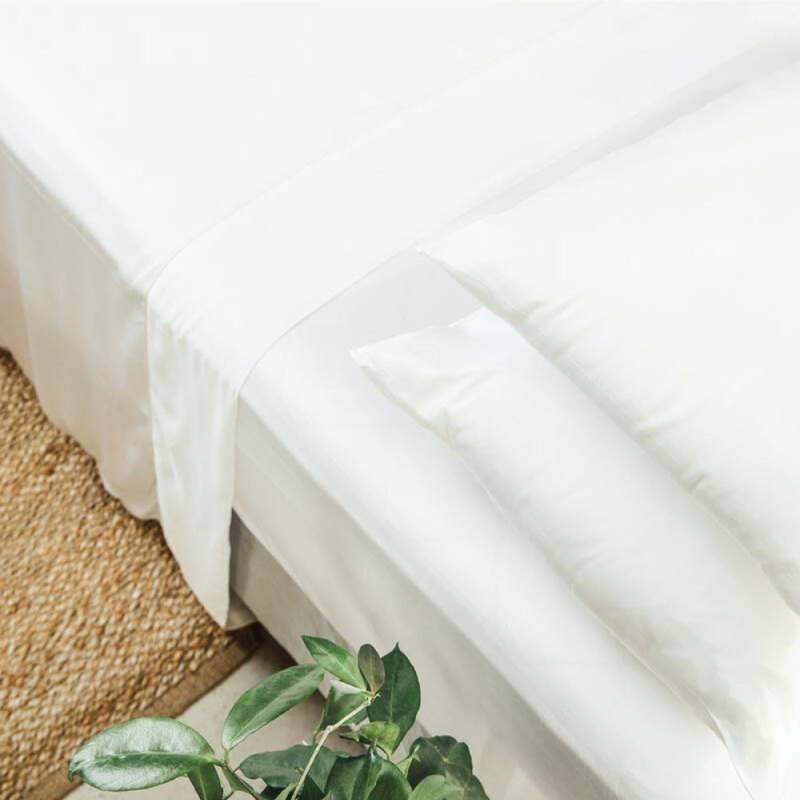 Ettitude claims their bamboo lyocell sheets are soft and light, breathable, hypoallergenic, antimicrobial and temperature regulating. This makes them warm in winter yet cool in summer. They also offer bamboo charcoal lyocell and bamboo coffee lyocell. Customers highly rate Ettitude sheets. From the extensive colour choices and softness to their easy care and coolness, they love them. We love their affordability, quality and eco ethos. We’re also fans of their 30-night free trial. If you don’t love your sheets, you can return them for a full refund. Priced just under $50 for a queen set, the 1000TC sheets from Daniel Brighton are our pick for the budget conscious shopper. Made from a cotton blend, the Daniel Brighton sheets are designed to be soft and durable. Customers love the value for money, choice of colours and soft quality. They also mention how they have a tendency not to crease when washed - because who has time to iron sheets! We reckon if you’re after a quality set of sheets, in simple modern colours, at an affordable price point then these are a good choice. An USA-based company, Parachute is devoted to helping you have the best night’s sleep. Parachute offers a range of bedding that’s manufactured from identified, reputable factories around the world. They only use high quality materials, including 100% long-staple Egyptian cotton in their Percale Venice Set. Their signature product, it’ll bring some California dreaming to your bed. It’s classically designed and comes in a range of neutral colours. Made of percale, it’s lightweight, breathable and cool touch. This makes it ideal for hot Aussie nights. It’s made in a family-owned factory in Portugal and is Oeko-Tex Standard 100 certified. This means it doesn’t use any harmful chemicals and synthetics during the manufacturing process. Parachute products are a good choice for allergy or eczema sufferers, or conscious consumers. Customers say that their Parachute sheets are soft, comfortable and beautiful. They perform well during hot nights and feel hotel quality. We say that their sustainable manufacture and classic design justifies the price tag. We also love how Parachute donates a malaria bed net for every Venice set bought. Bed sheets are made from a huge range of materials, each offering a different look and feel. Linen is lightweight, breathable yet durable. This makes it a good choice if you sleep hot. It gives a casual, rumpled look. Avoid if you like crisp lines. Cotton flannel is great for making your bed warm and cosy during winter nights. Choose a set that’s brushed on both sides for maximum softness and durability. If you sleep hot, the lack of breathability will be a problem. Silk offers a luxurious sleep environment. It’s cool in summer yet warm in winter. It doesn’t absorb moisture so is ideal if you sleep hot. Hypoallergenic, it’s resistant to dust mites and mildew. Silk is a good choice for allergy sufferers. However, it’s expensive and the cool feeling of it can take some adjusting to. Organic cotton should be 100% cotton. This means no synthetics or blends, which can irritate your skin and may be less durable. Choosing organic means the cotton is grown without toxic chemicals. This is better for the farmer, worker, wildlife, environment – and you. Organic cotton is a great choice if you’re concerned about sustainability. Bamboo has similar qualities to silk, but without the price tag. It’s also machine washable so easier to care for. Smooth and soft like silk, it lacks silk’s shininess. It’s hypoallergenic and gentle on sensitive skin. Bamboo is a far more sustainable material than cotton. Its fibre yields are greater, and it needs less water. Choose bamboo for softness and comfort without the silk price tag. Bed sheet sizes can differ across manufacturers. To get the right size, measure the length, width and depth of your mattress. If you’ve got a particularly deep one, like a pillow top, make sure your sheets will fit it properly. Ensure the sheets are good quality. Check the seams on the wide hem of the top sheet and on pillowcases. Look for neat, tight and small stitches. Use independent review websites to read real-life customer experiences. If you can, take them out of the packaging and feel them. Contrary to popular belief, a high thread count isn’t always a guarantee of better quality or durability. Thread count is the number of threads (vertical and horizontal) in a square of fabric. It’s usually per 10cm2 or per square inch. A reasonably high thread count (over 180 threads per 10cm2) is good. Closely woven fabric wears well and shrinks less. But a higher thread count can be deceiving because a thinner yarn produces a higher thread count. That’s because more threads fit into 10cm2 of fabric. A very high thread count will result in a soft, smooth fabric. But it’ll also be more delicate and not as durable. Durability depends on the strength and quality of the fibre and the quality of the weave – not on the thread count. With bed linen, the best quality comes at a price. You might find a sheet with a huge thread count at a tiny price. It’s probably too good to be true. To get such a low price, fibre quality and construction has probably been compromised. Try to invest in the best linen you can afford. Chemicals can be used to produce high-quality bed linen. Singeing burns tiny fuzz from the fabric surface to prevent piling. Mercerising uses caustic soda to swell then shrink fibres to increase the fabric strength and lustre. If you’ve got skin sensitivities, allergies or eczema, choose organic cotton. A lot of bed linen companies let you try your sheets at home. If you don’t like them after 30 or 60 nights, you can return them for a full refund. This is something to look for if you’re a nervous buyer. 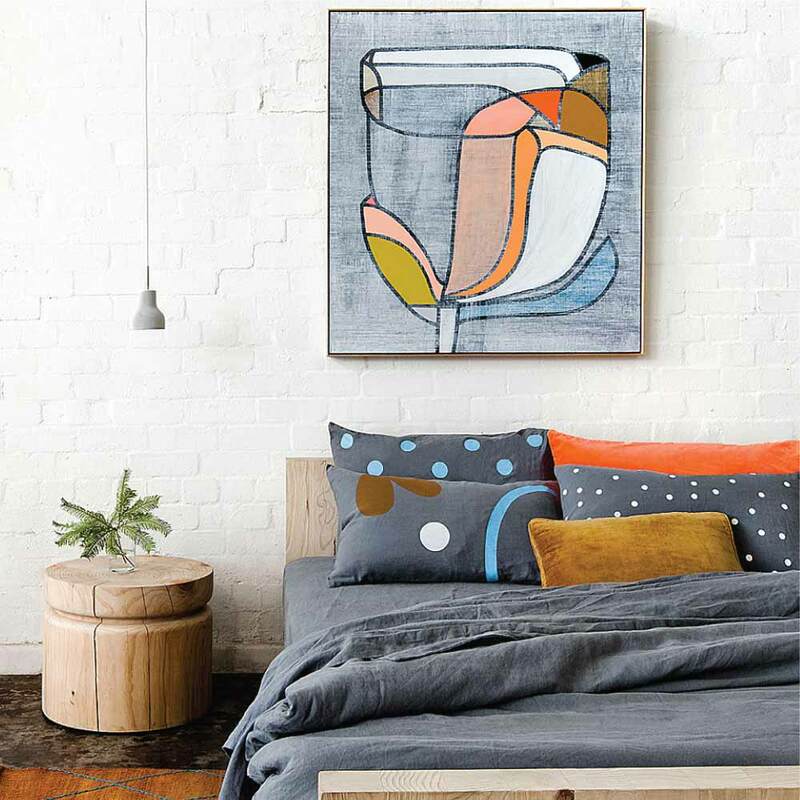 Or, before investing hundreds of dollars in your bed linen, try a pillowcase first. This is a cost-effective way to check the quality and material for yourself. 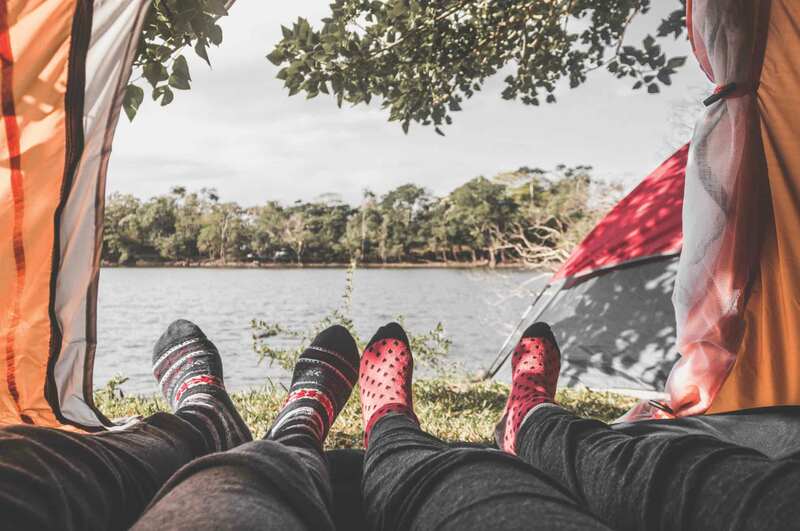 Whether you’ve got visitors, travelling with kids or going camping, an air bed is a good investment. See our picks for Australia's top air beds.